10/1/12 - 11/1/12 — Mobers.ORG — Your Daily Source For Mobile FUN! At the wheel of a dream sports car, you will race through big cities (New York, Paris, Tokyo, London) and over unfamiliar terrain (Luxor, Syracuse, Route 66, Vladivostok). The extreme drivers you are facing will do anything to leave with the prize money! Fasten your seatbelt, slalom through thick traffic, use the Nitro Boost and pick up bonuses while avoiding the cops who are trying to keep the peace! With the money you win, you can choose to buy a wide variety of cars from the most prestigious car manufacturers. Asphalt Urban GT : 128x128, 128x160, 130x130, 132x176, 176x208, 176x220, 208x208, 240x320. Jazz up your race car any way you want and show your style on various racing circuits in the world’s most famous cities as your radio pumps Moby's hit "Lift Me Up." But don’t forget that you’re there for just one thing—the race. The only way you’ll impress the gorgeous girls you’ll meet along the way (played by the lovely Pussycat Dolls) is by winning the top podium spots in the down and dirty crush of steel. Asphalt 3: Street Rules is rocketing right onto your mobile phone! The third installment of the most famous mobile phone racing game throws you right into the heart of the underground racing world. Take the wheel of your dream car or bike and make a name for yourself in this circle where respect and money are won through drifts and pileups. Force your opponents off the road and avoid the police roadblocks to attract TV helicopters filming your exploits live! Asphalt 3: Street Rules is rocketing onto your mobile phone! The third installment of the most famous mobile phone racing game throws you right into the heart of the underground racing world. Take the wheel of your dream car or bike and make a name for yourself at the 4 corners of the world in amazing 3D surroundings. Force your opponents off the road and avoid the police roadblocks to attract TV helicopters filming your exploits live! Face the world’s richest drivers in high-speed races through traffic. Choose among 10 dream cars and bikes from the world’s most prestigious manufacturers, such as Ferrari and Bugatti, and zoom through the streets of Monte Carlo, New York, Shanghai, Paris, Dubai, and Beverly Hills to impose your style. Check your rides in your own garage and spend millions to tune them. The police await you in each city with roadblocks and helicopters. Get your adrenaline pumping for the newest edition of the Asphalt series. Discover 10 cars and bikes from Ferrari, Lamborghini, Pagani, Ducati and other world-class manufacturers. Build a collection in your garage then tune your vehicle and customize it with decals before tearing up the streets of L.A., Tokyo, Cape Town and other beautiful locations. You’ll be driving against tough opponents in different events in Career mode. Master Magic, Learn Potions, Charms and more as you attend Hogwarts™ in this great new Harry Potter mobile game! Get ready to challenge your mind and advance through Harry's fifth year. Play as Harry, Ron or Hermione and strive to win the coveted Studious Success Cup, awarded to the student who achieves the highest marks in the various Hogwarts classes and O.W.L.s. Practice wizard classes and complete exams, track your performance and perfect your magical skills. 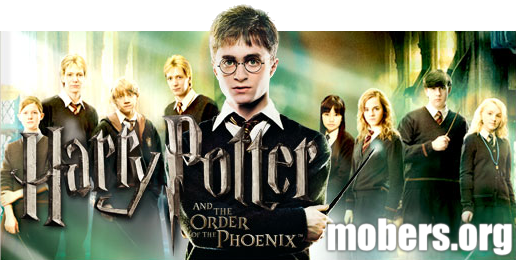 Get the new Harry Potter mobile game now! Harry's fifth year at Hogwarts™ is shaping up to be his most dangerous yet - and Harry Potter game fans will not be disappointed. Fearing that Hogwarts' venerable Headmaster, Albus Dumbledore™, is lying about the return of Voldemort™ in order to undermine his power, Minister for Magic Cornelius Fudge appoints a new Defense Against the Dark Arts teacher to keep watch over Dumbledore and the students. But Professor Dolores Umbridge's ministry-approved course leaves the young wizards woefully unprepared, so Hermione, Ron and Harry form "Dumbledore's Army" with the goal of preparing themselves and other courageous young wizards for the extraordinary battle that looms against Voldemort and his Death Eaters. 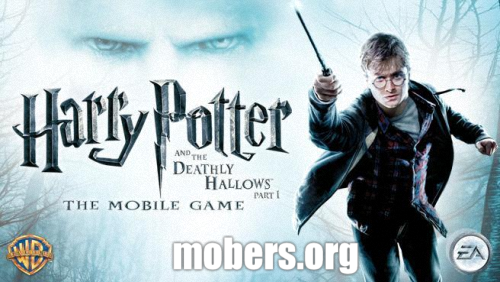 Play the free Harry Potter mobile game demo! Hogwarts™ is no longer the safe haven it once was as Voldemort tightens his grip on both the Muggle and wizarding worlds. Relive the movie and experience the action of Harry's sixth year as you join Harry, Ron and Hermione in their exciting adventure! Cast powerful spells in duels with fellow students and familiar foes. 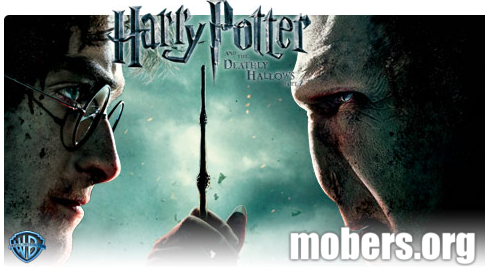 Do battle with evil Death Eaters who are determined to fulfill their master's Dark wishes. Do you have what it takes to save Hogwarts™? Immerse yourself in the magic. Play the role of "the Boy Who Lived" in the mobile game inspired by the film, Harry Potter and the Deathly Hallows - Part 1.Team up with Hermione and Ron and explore the world beyond Hogwarts' gates. Seek and destroy Voldemort's Horcruxes as you combat Death Eaters, Dementors, and more. Cast 20 different spells, collect magical artifacts and solve puzzles to complete the fateful task that Dumbledore could not. Live the most thrilling and magical adventure in Harry Potter and the Deathly Hallows™ - Part 2, the final and ultimate mobile game of the saga. Embody one of the three iconic characters of the saga and engage in the final battle against Lord Voldemort. Experience an astounding battle mode that includes the use of magic and an auto-lock system and confront enemies and bosses from the novel. Gain XP points to increase your level up to 20 and learn new skills, including impressive magic spells! It's Classic Nokia Snake....... For Real!